Summary: A solidly enjoyable indie-folk album from the bushy-browed singer-songwriter. Charlie Simpson is back. The ex-teacher-loving, wedding-crashing third of ‘pop rock’ band Busted (and, of course, Kerrang! Endorsed Alt-rock Fightstar front man), has grown up a lot in the last few years, as has his music style. The solo artist, fast becoming well-known for his acoustic folk-rock talents, has released his anticipated second album Long Road Home. The album sets a much happier tone than that of Young Pilgrim, his first solo venture released back in 2011. Any of Simpson’s Young Pilgrim-era fans can rest easy, though, as his sultry vocals and deep lyrics are as intact as ever – if not more fine-tuned. It’s just that everything feels a bit, well, sunnier. The album begins with title track ‘Long Road Home’, a lovely opener whose upbeat tempo (compared to previous Simpson tracks) and soft melodic piano stands as stark contrast to Young Pilgrim’s opening track ‘Down, Down, Down’. The characteristic, beautiful harmonies found within most of Simpson’s solo work are easily spotted – in fact, this album sees some exceptional examples. The lyrics (telling the tale of life on tour and the effect it has on a musician’s relationships) sets the tone for an album that’s exceptionally reflective and, at times, nostalgic. ‘Comets’, the second track, ticks all the boxes of an indie-folk anthem, complete with Lumineers-esque “Heys”. It captures the essence of summer fun, and can’t fail to get you up and enjoying a ‘Mumford and Sons’-style jig around a well placed haystack… too cliché? And though it may not be the most original track on the album, it highlights Simpson’s talent as a writer; packed with an overall sense of energy, it’s a genuinely enjoyable track. ‘Winter Hymns’, the first single released from the album, is a beautifully simple song, with a sincere, honest sentiment and some truly magical harmonies – this could be a very special song to see live. ‘Emily’, meanwhile, is an intriguing song with many musical layers, from Simpson’s classic raspy vocals to stripped-back guitar picking and brass sections. It’s well worth a listen and is one of the strongest tracks on the album. ‘Would You Love Me Any Less’, like ‘Winter Hymns’, is a beautifully simple song, containing some of the most heartfelt, poignant lyrics on the record. ‘Haunted’ – the second single released – and ‘Still Young’ return back to the earlier classic indie-folk of ‘Comets’, with a slower pace but the same summer feel – perhaps transitioning into a summers eve of bonfires, guitars and longing looks by fire light. These songs have moments that showcase Simpson’s distinct vocals, as well as his talents as a song writer. ‘Ten More Days’ and ‘Blood’ provide further evidence of how Simpson’s writing and vocal skills have developed for the better, and though they may not be the best tracks on the album, each has catchy melodies and will leave you happily anticipating the next track. ‘Forty Thieves’ offers something quite different from Simpson’s previous high energy, sunny songs, and its darkly sensitive harmonies bring a strangely placid, yet nonetheless dramatic, feel to an otherwise average song. Closing with the solid ‘Another Year’, it becomes clear that Simpson’s current work should now begin to dwarf any opinions and references to his earlier career – he’s proving to be a very credible artist within his own right. 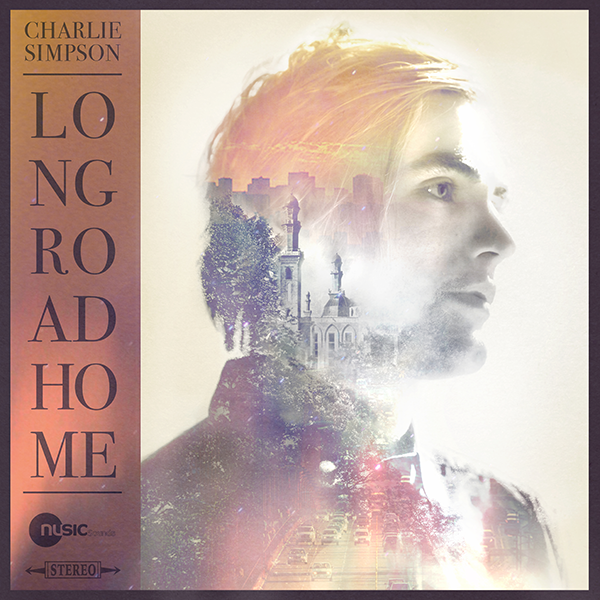 Long Road Home, as a whole, is certainly an album Simpson should be proud of; each track draws you in and compels you to listen, even if some do so with more conviction than others.It adds another layer to Simpson as both a writer and artist, one who is fast becoming one of the many chameleons of modern British music. Long may it continue. Long Road Home is out now via Nusic Sounds.